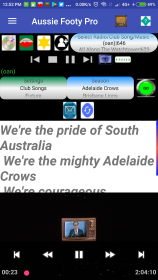 Footy Aussie Rules predictor contains 2017,2018,2019 fixture, ladder, results,game stats, allows for tipping for each round. Prediction method can be altered via the settings screen. 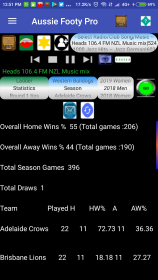 Game stats can be viewed for completed games. 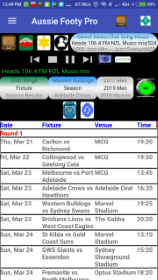 Fixture, tips, results exported, Also contains media player ... listen to hundreds of online radio stations, local music and videos., play club songs. 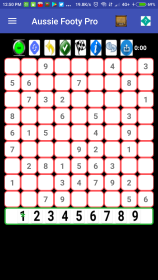 Various Sudoku and Tic-tac-Toe games built in.